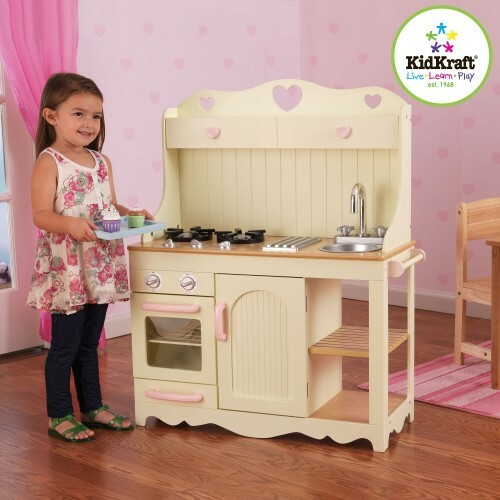 Wooden play kitchens to keep the little ones happy for hours, something for the girls & boys or both. 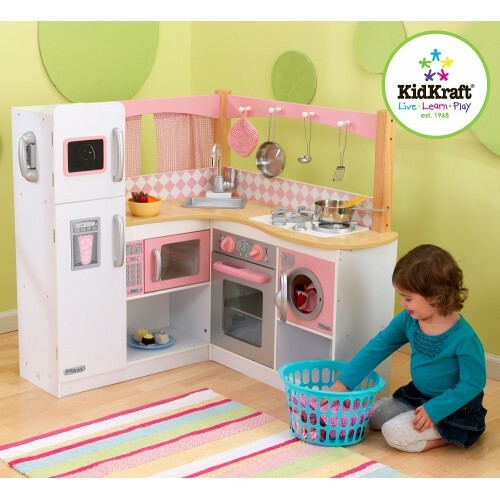 Large kitchens, small kitchens and table top kitchens. 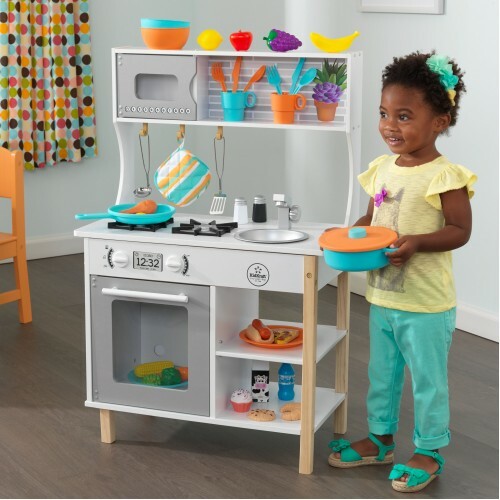 Team them up with the wooden play and kitchen accessories. 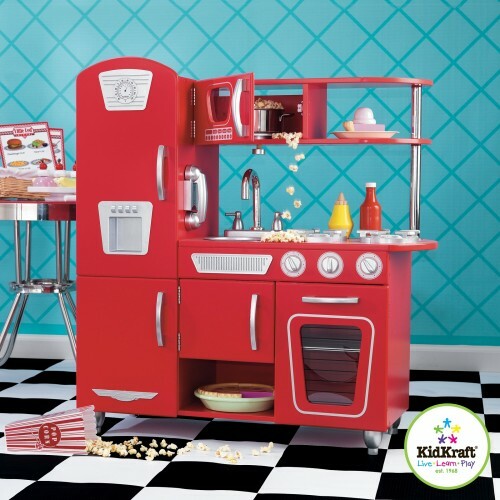 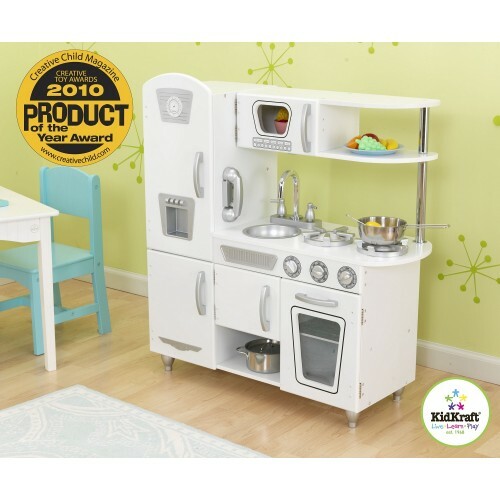 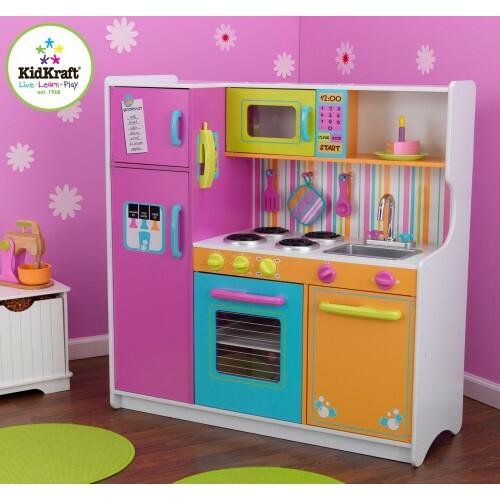 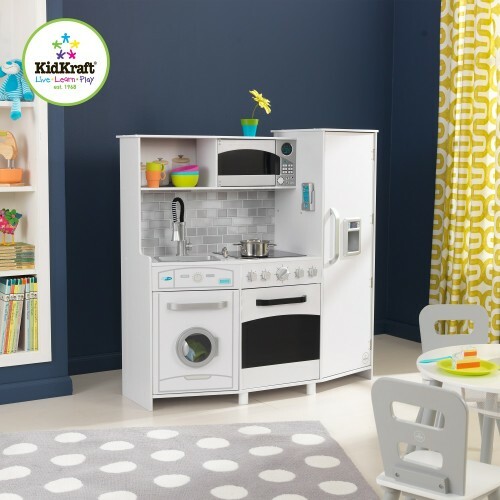 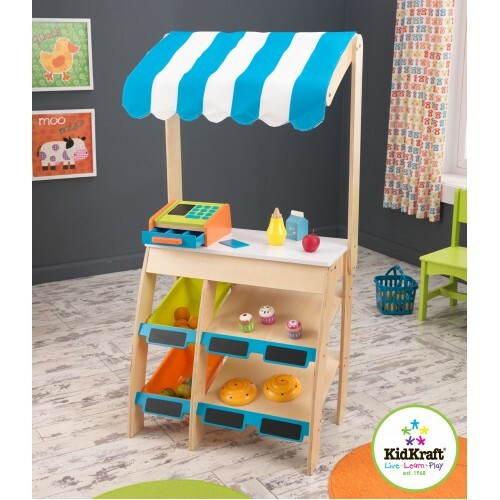 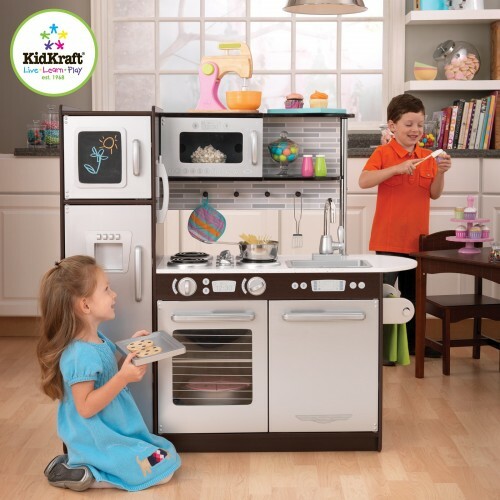 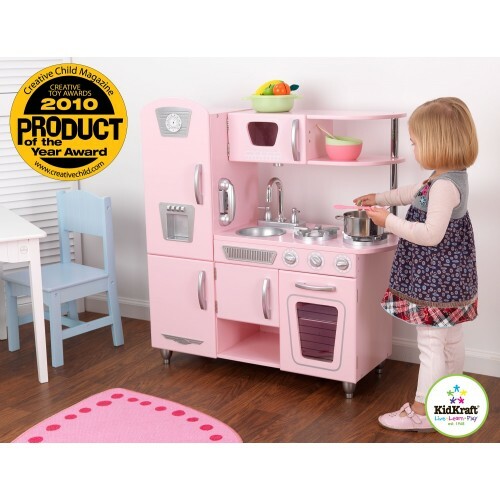 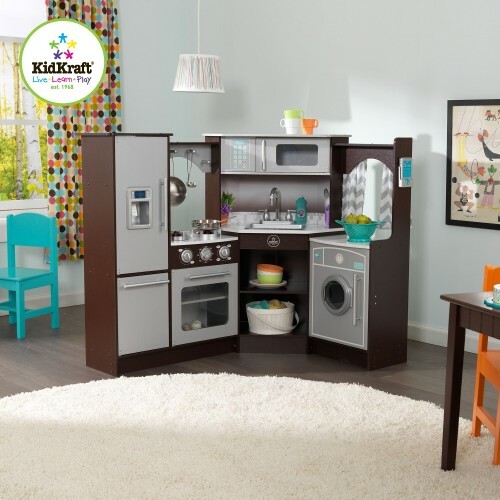 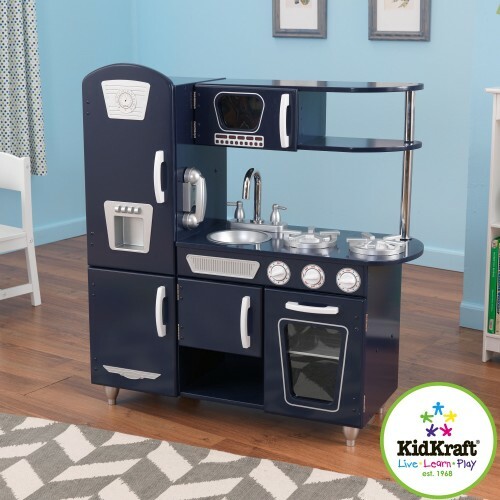 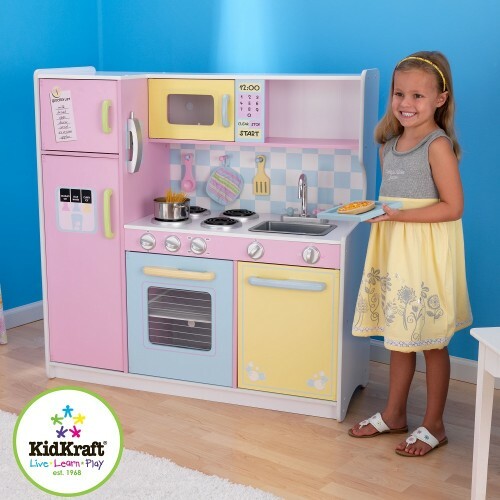 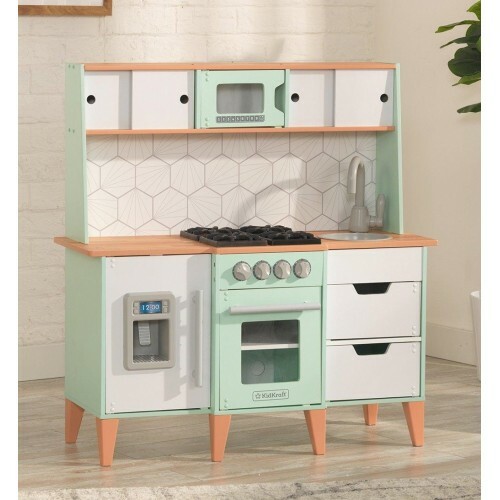 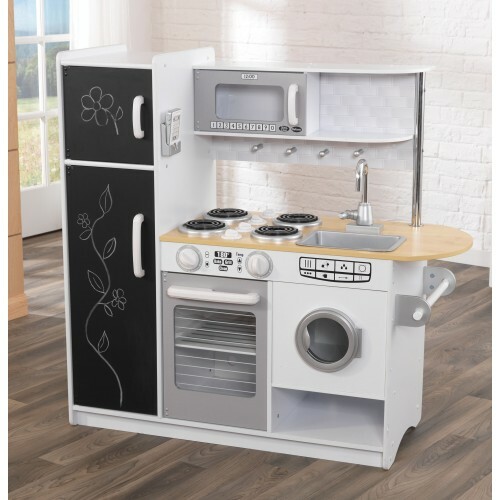 The very popular Kidkraft kitchens including the Vintage collection and the classic Prairie Kitchen we also have the new modern looking Kidkraft Uptown Espresso kitchen and the large Pastel kitchen. 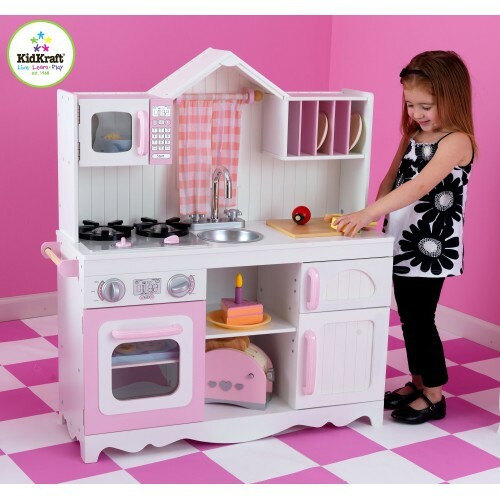 Kidkraft All Time Play Kitchen with AccessoriesSmall children will love this kitchen in its very mod..
Kidkraft Classic Pink KitchenetteThis classic wooden kitchen is perfect for young children and makes..
Kidkraft Red Kitchenette This classic wooden kitchen is perfect for young children and makes an idea..
Kidkraft Classic White KitchenetteThis classic wooden kitchen is perfect for young children and make..
Kidkraft Deluxe Corner KitchenBright cute kitchen ideal for the budding chef in your life.Corner des..
Kidkraft Large Play Kitchen with Lights and SoundsAnother new wooden kitchen from Kidkraft, this lar..
Kidkraft Little Bakers KitchenSmall children will love this kitchen in its very modern colours white..
Kidkraft Mid-Century Modern Play Kitchen with EZ Kraft Assembly™Kidkraft have merged the modern and ..
Kidkraft Navy Blue Vintage Play KitchenThe vintage range of kitchens from Kidkraft are one of the mo..
Kidkraft Pastel Country KitchenA cute classic looking kitchen in pretty pastel colours, makes an ide..
Kidkraft Pepperpot Play KitchenNew for 2017 we have this new modern kitchen from Kidkraft and it fea..
Kidkraft Uptown Natural KitchenThe Uptown kitchen range from Kidkraft is one of the best selling and..
Kidkraft Uptown Pastel KitchenThe Uptown kitchen range from Kidkraft is one of the best selling and ..
Kidkraft Uptown White KitchenA new white version of the popular Espresso colour of this kitchen and ..